Pickets march in line in a suburban area announcing their support for the union. 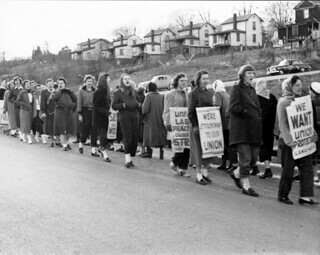 Title: Pickets march in line in a suburban area announcing their support for the union. Notes: No additional information available.